On the anniversary of the 1989 massacre of democracy protestors at Tiananmen Square in Beijing, Taiwan’s newly elected President Tsai Ing-wen has urged China to heal its wounds. She said that while she did not wish to criticise the Chinese system, she believed that China could earn more respect from its citizens if it granted them more rights. Taiwan’s legislature held a commemoration of the event for the first time this year, and law-makers there called on China to acknowledge and apologise for the massacre. Taiwan’s newly sworn-in president urged China to heal the wounds of the 1989 Tiananmen Square crackdown and to cherish dissent. Taiwan lawmakers for the first time held a commemoration in the legislature on the 27th anniversary of the crackdown, calling on China’s government to admit mistakes, identify those accountable and apologize. The Legislative Yuan advised Taiwan’s government to strengthen its monitoring of human rights-related issues in cross-strait exchanges, according to legislator Yu Mei-nu, who helped organize the commemoration on Friday. The event included representatives from Tsai’s Democratic Progressive Party and the opposition. Tsai said while economic growth had improved the lives of people in China, there is “internal pressure for political and social transformation.” China would earn more respect if it could grant its people more rights, she said. 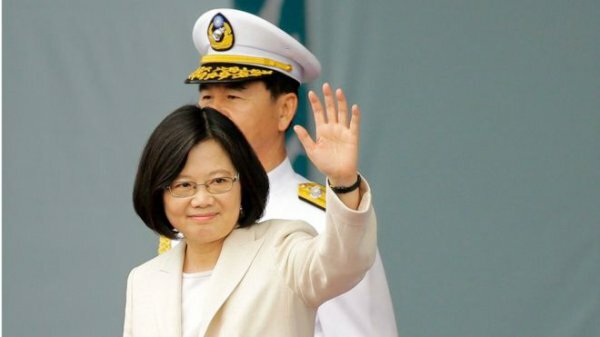 “I hope both sides will share same view about democracy and human rights some day in the future,”Tsai said.